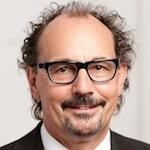 Rolf Huber has been managing director of the board of Siemens Stiftung since October 2012. Together with his board colleagues Nathalie von Siemens and Georg Bernwieser, he is responsible for the operative implementation of the goals defined by the foundation. Siemens Stiftung operates in the fields of basic services, education and culture. In collaboration with its partner organizations, the aim is to help people improve their living conditions. Huber completed his master’s degree in American studies, political science and communications science at the Ludwig Maximilian University in Munich and the University of North Carolina. Prior to joining Siemens AG, he worked for several years as a news editor. Siemens Stiftung's "empowering people. Awards" are designed to identify promising technologies designed to benefit people without access to crucial basic services, add the innovations to a database available to the international development community, and connect the innovators on a common platform and offer them help where they need it.